A workwear outfit for when it’s hot in the City! With the girls being under 18 I can’t show their photographs on here but this outfit was one of the girls’ favourites – and mine too. I’ll bring you another instalment tomorrow. As soon as I saw these Warehouse culottes (£65) I knew that I wanted to use them. They are a lovely draped fabric with a good length and I also liked the clean, simple lines. From experience, younger women don’t like the thought of skirts that they consider too long – they just won’t wear them as they consider them frumpy, even if they are a pencil skirt – however most culottes tend to be worn either just below the knee or midi length, so they are an acceptable alternative. The v-neck is also great for anyone with a curvy bust and as those of you with one with know, finding v-neck anything can be really hard, especially work wear. The Warehouse cut out court shoe (£45) is an elegant style. Not too high and in real life they are more of a pale grey than cream – so not as “weddingy” as they look here. And whilst matching the shoes and bag isn’t always perceived to be the way to go, I wanted to present a variety of options, so there was plenty of bag and shoe clashing elsewhere in the outfits. Also, if the budget doesn’t stretch to expensive accessories, keeping the colour palette simple can work a treat. This Warehouse belt detail bag (£15 down from £42) looks much more expensive than its £15 price tag would suggest. 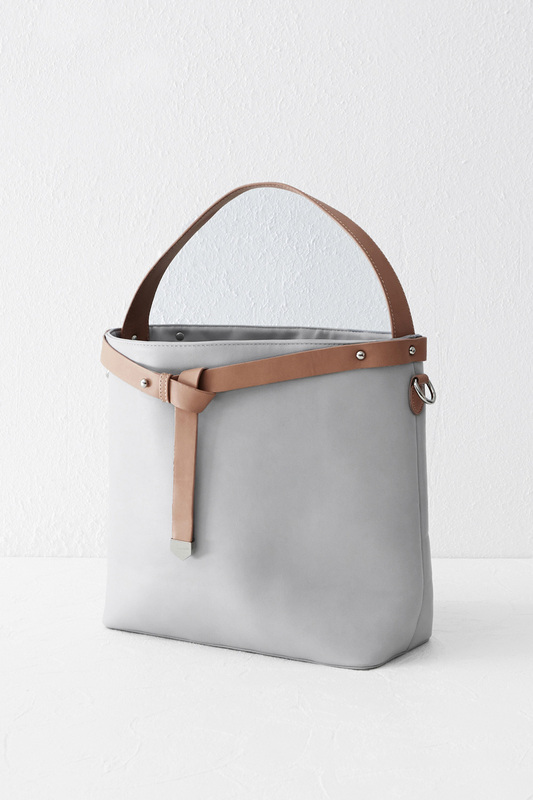 I really like the clean lines and belt detail and although some prefer to spend more on a handbag, this is a great option when entering the handbag market – or indeed at all. Finally I used this necklace from Oasis – apologies for the fact that I can’t find it on-line. It was £12 and the shape complimented the neckline of the culottes, whilst at the same time keeping the outfit the right side of young and fresh. As for a jacket, for the purposes of today I used a Mango one of mine in various shades of blue. Personally I wouldn’t try to match the navy of the culottes to a navy jacket. Instead I would either stick with a black jacket or one in a contrasting colour. Or if the weather and your work place permitted, going jacket less would be my preferred choice. What do you think to the Warehouse culottes? Could you be tempted? I really could as they could be styled for other events too from weddings, to an evening out, with white converse or gladiator flats. Hmmm. Now there’s a thought. Next Post A second outfit for when it’s (still) hot in the city…. Love the culottes but I remember wearing them in the late 80s.